Individual eyelash extensions differ from that of false or strip lashes, as they are applied lash-to-lash. One single, soft and synthetic lash is dipped in adhesive and applied to one natural lash. 80-200 lashes are applied per eye, dependant on the amount of natural lashes you have already. The natural lash cycle is 45-90 days, meaning, as your lashes fall out and naturally replenish, the applied lash will fall out with it and this is what will be replaced during a maintenance session. Therefore, with regular maintenance, your lashes will last as long as you desire. Russian lashes are thicker than individual and possibly express too, as 3 lashes are applied to each natural lash, to give a much fuller and thicker look. Volume lashes are exactly that, more volumous, as opposed to massively longer. Perfect for those wanting a thicker and fuller look-make your eyes a glamorous feature of your face. – Faster application – up to 45 minutes (1hr when including removal and reapplication)? 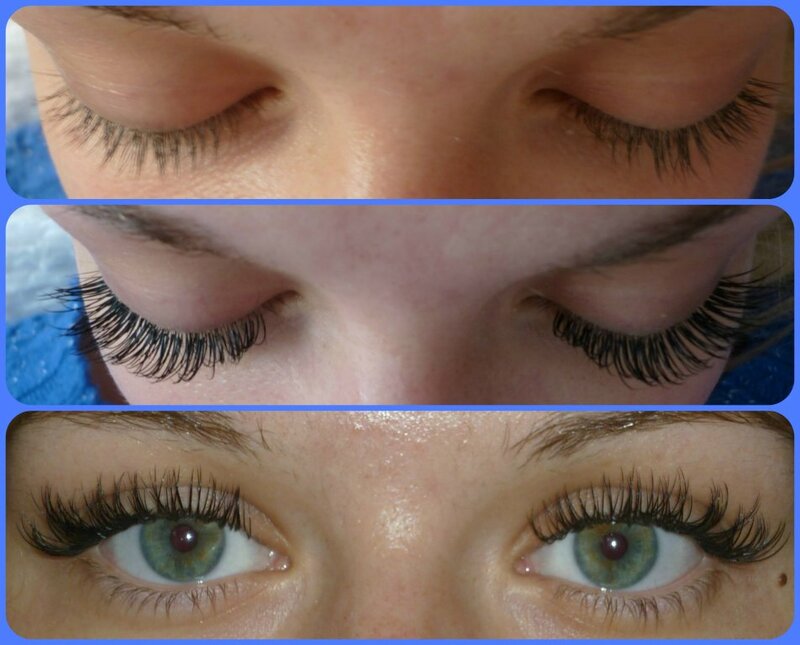 Perfect for those wanting a quicker appointment and those only needing lashes for a short period of time. Similarly, they are great for regular lash wearers, as they can be reapplied at each appointment. Due to not needing to isolate the lashes, removal after 2 weeks is necessary to allow proper growth of the natural lashes. Reapplication can be done during the same appointment. *a patch test is required at least 24 hours before appointment- this can be done at a previous appointment or if I am in your area I can come to you (£5 will be charged for this, but will then be deducted from your tinting appointment). Even if you have had tinting before, a patch test is still required. You will lie on a padded portable bed with head support to ensure you are completely comfortable throughout the treatment. It can take up to 1.5hours (no longer) for individual lashes and up to 45 minutes for express lashes depending on the look you desire and the amount of lashes needed to create this look. On average 80-120 lashes are applied to each eye. Your lower lashes will be taped out of the way during the procedure and a crystal-collagen gel eye pad will be placed along the underneath of your eye for optimum relaxation. These powerfully reduce dark circles, puffiness and wrinkles and due to being enriched with moisturisers will prevent and refine ageing and re-firm the area. So, you will not only end up with beautiful lashes, but more refined and replenished skin as well! Your eyes will be closed during the treatment, so go ahead, relax and unwind while you can. Falling asleep is common and perfectly acceptable. 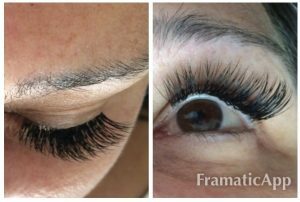 If at any stage you require a full set, the price will be £60 (classic) or £80 (volume) regardless of how long it has been since your last appointment. Do classic eyelash extensions ruin /harm my natural lashes? No, as these are applied individually to EACH lash. Can I go swimming with eyelash extensions? How are classic eyelash extensions attached? What are eyelash extensions made from? 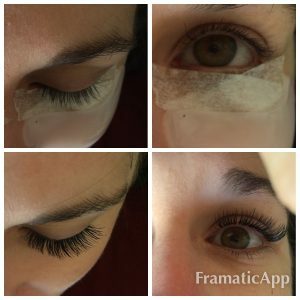 Can I curl my eyelashes after eyelash extensions have been applied?